The Holiday Season is here and coming with this joyous season are the various traditions we keep. Among the more venerable of these annual traditions are the handy lists of talking points provided by the Democratic National Convention and assorted left wing groups for the aid of young progressives who might want to ruin a holiday gathering with friends and family by starting arguments over politics. The holiday season is filled with food, traveling, and lively discussions with Republican relatives about politics sometimes laced with statements that are just not true. Here are the most common myths spouted by your family members who spend too much time listening to Rush Limbaugh and the perfect response to each of them. They provide a handy response. Nearly 1 in 3 Americans who were uninsured a few years ago have coverage today — that’s more than 17 million people. If the ACA were repealed, millions of Americans would lose access to quality, affordable healthcare. And none of the Republican candidates for president have a plan to solve that problem. There are smiley faces and frowny faces to ensure that the young progressive doesn’t become confused over which line to use. Climate change is just a liberal scare tactic. Why are conservatives more likely to believe that climate change is a conspiracy than to acknowledge what 97% of climate scientists-and the majority of Americans-believe? Climate change is real, and it’s man made. The Republican presidential field is living in denial. He might point out that citing polls of climate scientists or the the general population is worthless unless you know how the poll was conducted, what were the precise questions were, how large was the sample size, etc. He might also point out that the same sort of dodgy statistical methods were used to generate the 97 % consensus as Michael Mann’s infamous hockey stick, and given their past history of scientific malpractice and outright deception, there is no reason to believe anything that the proponents of climate hysteria have to say. I don’t think that the people who have written these scripts have had very much real contact with their Republican uncles. They mostly seem to be set up to deal with strawmen or a liberal’s caricature of what a conservative might say. They have a section on Jeb Bush. I have never heard any conservative who supports Jeb Bush’s candidacy. I am not really sure who wants him for president, except for a group of big donors who are RINOs. I have to wonder what the actual point of all of this is. Surely they don’t really believe that someone’s Republican uncle is going to experience some sort of epiphany and conversion after hearing their Democratic nephew spout off a memorized script? Do they really imagine a life long conservative smacking his forehead and saying something like, “By God you’re right! I have been misled my whole life by Rush Limbaugh and Faux News but now thanks to you I see the light!”. Somehow I doubt it. I suppose the real purpose this exercise is to build loyalty and conviction in the people who are already Democrats, by giving them a feeling that they are part of the team fighting for the right. The Democratic nephew can read through and recite these talking points that he already agrees with and feel that he is part of the struggle to bring social justice to America, even if he doesn’t manage to convince his Republican uncle. All sorts of organizations from cults to corporations like to use this sort of technique and I see it in fundraising e-mails from both parties; send money to us and be part of the fight. I have a suggestion for any young progressive who might want to have a political discussion with his Republican uncle. Instead of reciting bite-sized talking points intended for idiots incapable of thinking for themselves, why not try listening to your Republican uncle. He might have good reasons for believing the things he does. If he is older, he might have life experiences more valuable and relevant than what you might read on the internet. Even if you don’t agree with everything he says, you might still learn something and might be able to better understand why you believe the things you do. Try thinking for yourself for a change. Maybe you might both learn something. Today is Veterans Day. This day began as Armistice Day, November 11 1918 being the day that Germany signed the armistice that ended World War I. President Woodrow Wilson proclaimed the first Armistice Day in 1919 to celebrate the courage of the men who fought and died in that war. 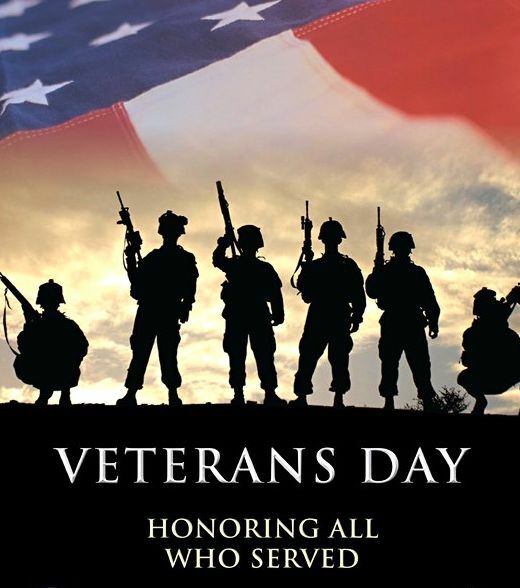 The day was changed in 1954 in order to honor the veterans of all the wars of America. I don’t have anything else to say except Thank You to all of the veterans who have served your country. You are better men and women than I am. I got this meme off of Facebook. I think it originally came from the left-wing blog Daily Kos. Why is this an issue in any presidential campaign? Since the duties of the President of the United States do not include teaching a science class, how is any candidate’s opinion on the theory of evolution particularly relevant? I would be more concerned with a candidate’s opinion on the theories of Marx than of Darwin. Marx’s ideas have contributed to the murder of millions and has caused more misery than any opinion on evolution ever has, yet candidates with ideas derived from Marx never seemed to be questioned by the media. The fact that Bernie Sanders calls himself a socialist or that Barack Obama had as mentors such left-wing Marxist radicals as Bill Ayers and Frank Marshall Davis seem to me to be of far more concern than Dr. Ben Carson’s thoughts on evolution. I suppose that the people at Daily Kos would argue that Dr. Carson’s beliefs about evolution disqualify him for the presidency because they show that he is anti-science. 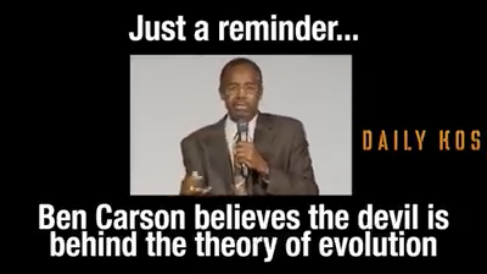 If that is the case, that Carson really is against science, what do they imagine he will do as president? Cut all funding for research? Insist that universities that accept federal funds teach creationism? Even if he wanted to do this, and there is no indication that he did, President Carson would find it very difficult to impose creationism on the scientific community. The President of the United States is not a dictator, at least not yet, and cannot single handedly control the education policies of the entire country. I think that science is safe from a president who does not believe in evolution. Science can also mean “an organized body of knowledge on a particular subject”, so one might argue that Dr. Carson and creationists are not knowledgeable in the sciences of biology and geology but that is not the same as saying that they are anti-science in the first sense. In fact, hardly anyone is actually anti-science in the sense of being against the systematic study of the structure and behavior of the physical and natural world. Even people people espousing wildly unscientific ideas try to assume the mantle of science. Creationists like to say they have scientific evidence for their position, even when it really boils down to, “The Bible says it”. Disbelief in evolution does not necessarily imply disbelief in the scientific process. The real importance of evolution to the left does not seem to be its status as a scientific hypothesis subject to falsification but as a means to differentiate between the elite intellectual elite and the bitter clingers in flyover country. To them, belief in evolution is a sign to show that you are on the right side of science and history. It, along with climate change is sacred knowledge, not to be questioned or doubted. By demonstrating a disbelief in evolution, Dr. Carson shows that he is lacking in intelligence and should be disqualified from the presidency. The irony here is that Dr. Ben Carson is probably a good deal more intelligent and educated than the person who put together that meme. He is certainly more accomplished, being a gifted neurosurgeon. It is even possible he is more scientifically knowledgeable, even about evolution. I wonder how much that that person who created that meme really knows about the theory of evolution or can explain why it is accepted as an explanation for the development of life by nearly every scientist knowledgeable in the relevant fields. I would guess that he believes in evolution because it is what was taught in school and that it is what all of the smart people believe. Well, that is not the same as actually investigating the matter for oneself and actually trying to understand why a given theory is believed to be true. You don’t get to give yourself credit for being in the intellectual elite for simply remembering what you learned in school twenty years ago and you don’t get the right to sneer at people better than yourself. Is Bernie Sanders Really Unelectable? (huffingtonpost.com) In a sane world he would be. Like most Americans, I never knew very much about the Spanish Civil War. Outside of Spain, it mostly seems to be seen as a sort of prelude to World War II; the first battle of the epic struggle between Fascism and Democracy. In the movie Casablanca, that Rick fought on the Loyalist side in Spain was a quick way to indicate that he had, at least at one time, been on the side of the good guys. At first glance, this impression seems to be true. The Spanish Civil War did begin as a military insurrection against the democratically elected left wing government of Spain. 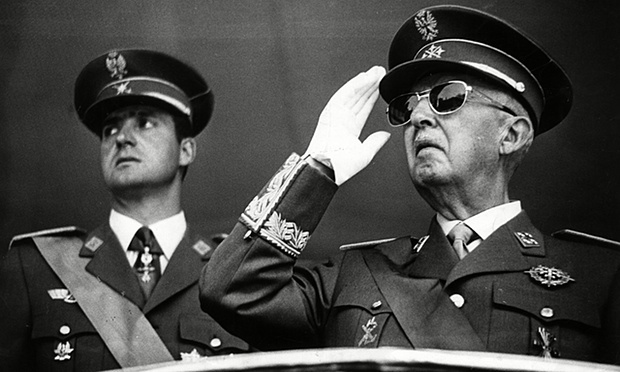 The Nationalists under Francisco Franco were backed by Fascist Italy and Germany who saw the civil war as an opportunity to test new weapons and tactics. A closer examination quickly shows that the issues surrounding this war were much more complicated than this simple view. For one thing, since the democracies such as France and Britain were determined to remain neutral in this conflict, the Republican government of Spain had little choice but to turn to the Soviet Union for help. This help came with strings attached, the Soviets hoped to increase the influence of the Communist Party in Spain and ultimately to create a Socialist dictatorship controlled by the Communists. On the other hand, there were never very many Fascists, or Falangists as the Spanish Fascists were named, in Spain until just before the Civil War. There was an increase in membership of the Falangist Party as the conflict began, mostly as a reaction to the apparent attempts by the left wing parties to convert Spain into a Soviet state. Franco himself never had much use for Fascist ideology and by the end of the end he had subordinated the party to his personal rule. As for democracy, the truth is that neither side really supported the idea. The Right, whether Falangist, monarchist, or conservative, was frankly authoritarian in outlook. They were prepared to play the game of running in elections, but they didn’t much care for the process. The Left seemed to not understand the whole purpose of democracy is too allow the people to choose their rulers. They believed that they were on the side of History and Progress and thought of elections merely as a way to confirm their mandate. When a right-wing coalition won the elections in 1933, the left demanded that the vote be invalidated, not on the grounds of any evidence of fraud or irregularities, but simply because the wrong people had won. When they won the next elections, they began to rig the system to make sure they wouldn’t lose again. This refusal to follow the Spanish constitution, along with a threatened purge of the military caused the military to rise up against the left-wing government, beginning a terrible civil war. Neither side were the good guys, or even altogether the bad guys. 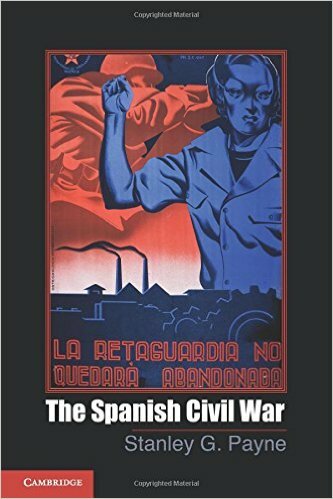 Stanley G Payne makes this clear in his account of the war, titled, simply enough, The Spanish Civil War. Payne gives a clear and coherent account of the years leading up to the war and is remarkably even-handed in assigning responsibility for the mistakes in policy that caused the war. Payne gives a good chronological account of the military history of the war as well as dealing with the policies each side developed to fight the war and to remake Spain according to their competing ideals. Both sides committed atrocities, and Payne is again even-handed in giving accounts on the inevitable horrors of war, alway worse in a civil war. He also explores why Franco and the Nationalist eventually won control of Spain and the motives of the countries that sought to intervene in the war. The one thing that most struck me while reading through this book is that the Republicans really should have won this conflict. In 1936, when the fighting actually began, they controlled most of the territory of Spain, including the richest and most productive regions. They were considered the legitimate government of Spain internationally and they held the capital. They also controlled about half the navy, most of the air force, and even much of the army. The Nationalists began the war as a few disgruntled army officers, mostly stationed in Morocco. How did they end up winning? They did get a lot of support from Germany and Italy and this did make a difference early in the war, but it seems the one advantage the Nationalists had over the Republicans was that they early became unified under a single leader, General Francisco Franco. The Republicans were divided between various factions including liberals who wanted some sort of social democracy, more doctrinaire socialists and communists who wanted to use the existing government to make Spain into a socialist state, and the radical communists and anarchist who wanted a revolution, not to mention nationalist Catalans and Basques. This division made it difficult for the Republican government to develop any sort of coherent strategy for winning the war, and the more extreme left-wing elements of their coalition, especially their anti-religious stance, frightened many Spaniards into supporting Franco as the lesser evil. They were probably correct, Franco was a dictator who crushed dissent after winning the war, but he probably didn’t cause nearly as much misery for the Spanish people as a Soviet backed Communist dictatorship might have, and Franco, at least, had the good sense to keep Spain out of World War II and he was inadvertently responsible for restoring democracy to Spain by arranging for King Juan Carlos to take power after his death. Franco was the least bad option for Spain at the time.